In many of our decision management projects, we are helping clients adopt the technologies and approaches they need to succeed with digital decisioning and decision automation. One of the key technologies for these types of projects is a Business Rules Management System (BRMS). Sometimes, we clients are initially resistant to using business rules because current or previous business rules projects or initiatives have soured a company’s perception of the effectiveness of this technology. In this webinar, we’ll present our point of view, which is that this reluctance is often because business rules consultants and others misuse this powerful technology. 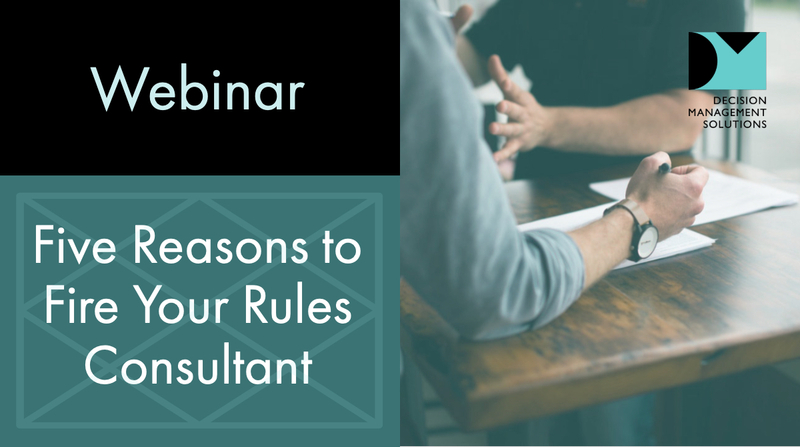 We’ll present five reasons to fire your business rules consultant before they sour your view of this valuable technology.